Guten Tag, and thank you for visiting this page. 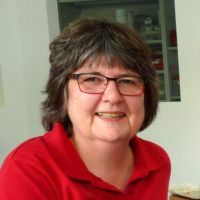 Let me introduce myself and talk about how my website can help you to learn about Germany. Personally, I am often curious and want to discover who is the author when I visit websites, so I think I should grant readers of the Germany Facts Guide the same courtesy. Here we go. My name is Rita Amend, your native guide to Germany. 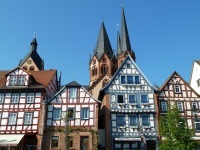 I've been living in Hanau, that is in the eastern Rhine-Main-area, all my life. That's 60+ years to tell you the truth. Actually, this region in Hessen is not considered a place to spend a holiday at (many Germans sniff at the Rhine-Main-Gebiet!). 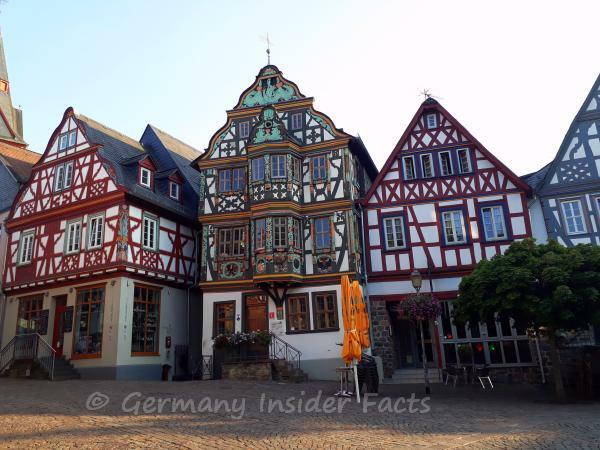 However, there are many hidden gems to discover in the greater Frankfurt area. I am happy to show you where to go in my "backyard", and elsewhere in Germany. 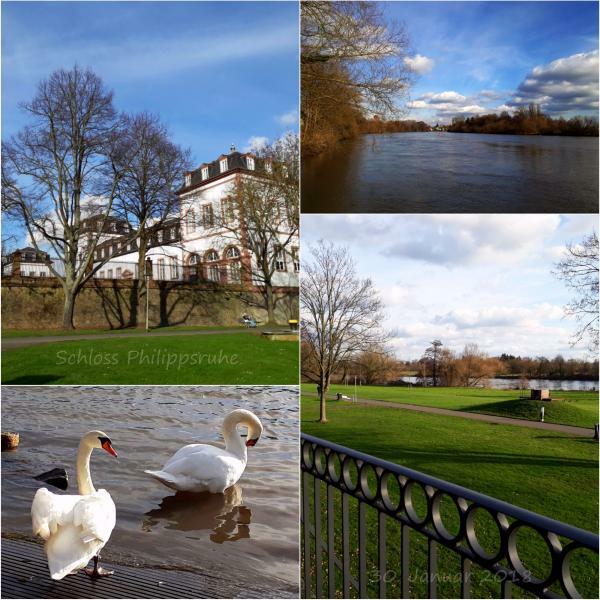 My backyard: Schloss Philippsruhe is a beautiful castle on the banks of the river Main in Hanau. 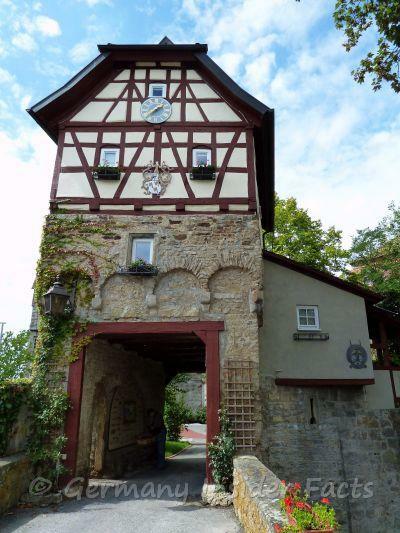 Click here to read more about Philippsruhe castle. I love to travel. I love nature. I love to take photographs of the places I visit. Although Australia is one of my favourite destinations in the world, I have spent many, many holidays in my home country as well. Exploring the secrets, history, foods and customs of a certain region in Germany is nearly as fascinating as discovering a foreign country thousands of miles away. It is never boring to stay in Germany for a holiday. Oh, and I love German castles, and the history behind the fascinating towns and villages in my country. No doubt, you will clearly notice that when you browse around this website. My love for nature was raised by my dad. He took us on bicycle trips and he made us aware of the little details around us. He also raised my interest in photography. Now I am lucky that my husband has always shared my love for the country and its unique places with me. Or was it vice versa? Anyway, it is great to have a travel companion with the same passion. 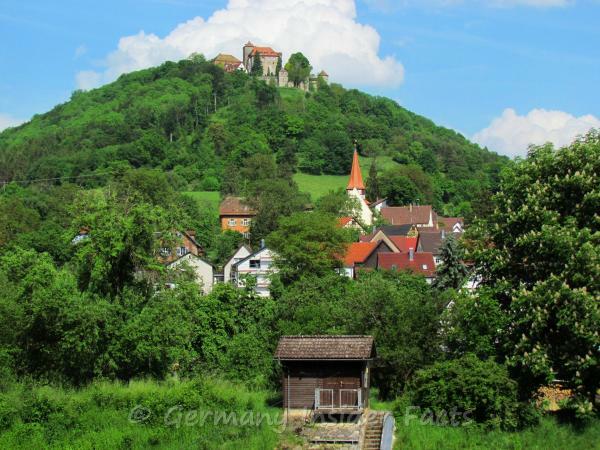 This is Schloss Stetten on top of the hill, overlooking the quaint town Kocherstetten. This was the first castle I visited with my husband many years ago. Actually, it was during the first holiday trip we did together. We fell in love with Schloss Stetten immediately. The castle was a hotel at that time, and we couldn't resist to stay for one night there. Somehow, it became "our castle", at least when we talked about it. Since then we visited our castle every time we travelled in the Hohenlohe region of Baden-Württemberg. 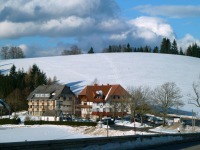 Schloss Stetten was built around 1200, it has been owned by the family von Stetten for centuries. The inner castle is still the family residence. However, starting in 1983, the grounds surrounding the main building became a retirement residence. These days, there are 20 houses (old and new ones), with more than 250 retirees living there. Who knows, maybe one day we will make "our castle" our retirement home as well. .
Well, that is a reasonable question. After all, I am a German, and writing this site in my mother language would be slightly easier. 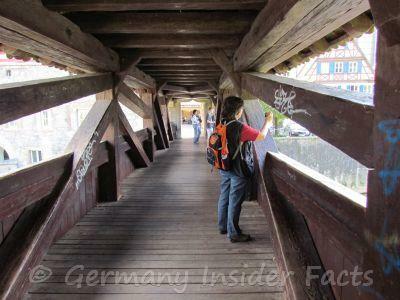 However, what is a true insider fact for a foreigner to Germany, is often common knowledge for my fellow Germans. Websites in German language abound, although they often cover only certain regions or topics. So I decided to devote this website to YOU, the visitor from Europe, America, Africa, Asia, and Australia, whichever country you call home. Even if you don't plan a visit, you might want to learn a little about Germany. 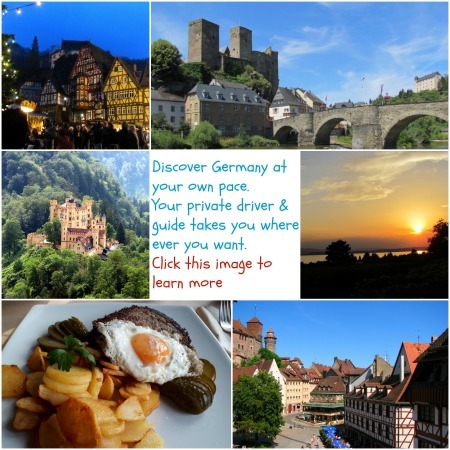 This Germany Guide is a travel website with a personal touch. I am going to add the "must see places", and "my favourite destinations" as well. 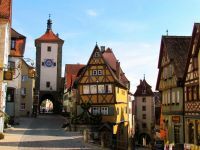 Read about traditions, foods and the history of the places I am going to visit with you during our mutual, virtual journey around Germany. It is my intention to make the Germany Facts Guide the one place resource for ALL YOUR questions about Germany. German regions are so different, the landscapes, architecture, dialects, the mentality of people, not to mention the variety in delicious food specialties. Where to go, what is worth to see, how to get around? Questions abound when you plan a journey to a foreign country. Sure, which places to visit is your personal preference, but you might also find places on this website you never thought of visiting. Please be aware that it might be hard to fit everything into a two-weeks journey! Apart from the fascinating attractions, you will also find heaps of practical help that answers your question "how to get around?". My train travel guide explains the public transport in Germany, you will find guided tour tips, and what's different in German hotels. If you get stuck, don't hesitate to drop me a message, I am here to help you! 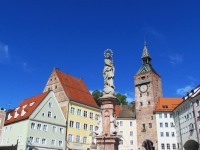 Are you inspired to visit Germany? Below are a few articles about favourite holiday destinations. Enjoy your planning! Subscribe to my newsletter, packed with info and pictures about Germany. Click the colourful letters to learn more. Discover Germany at your own pace. Work out your very own itinerary with your tour guide. Know that you don't have to worry about hotels and the best places to eat. Everything is cared for. You just need to enjoy Germany.